A Cornell University study (Hertl et. al.) published in the March 2018 Journal of Dairy Science examined the effect of clinical mastitis occurring in the first 100 days of the first lactation on the future rate of clinical mastitis and on the length of productive life. 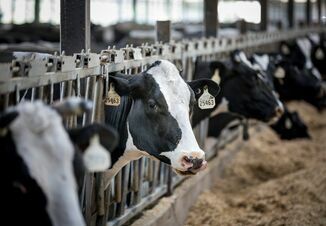 Researchers examined data from 55,144 lactations from 24,831 Holstein cows on five New York dairies ranging from January 2004 to February 2014. Only cows that had completed their productive life, therefore had been culled, sold or died, were included in the analysis. 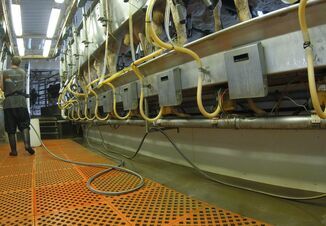 Cows experienced between zero and four cases of clinical mastitis in the first 100 days of the first lactation. 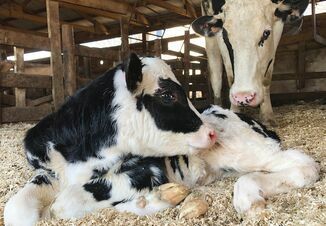 Over their lifetime, cows experienced between zero and 25 cases. During the study, 10% of all cows died and nearly half of all cows were culled. The average length of productive life was two years after first calving. Compared with cows having no cases of clinical mastitis in their first 100 days of lactation, cows with one clinical case in that period had a 1.5- times higher rate of total number of clinical mastitis cases over their lifetime. Cows with two cases had a 1.7-times higher rate, and cows with three or more cases had 2.6-times higher rate of cases over their lifetime. For each additional case of clinical mastitis occurring in the first 100 days of lactation one, the hazard rate of culling increased by 34%. The researchers state given the current impact of economic conditions on the preferential culling of mastitic cows, these findings might help producers make better decisions with regard to culling these animals.